This page does not claim in any way to represent the mission of a priest, but rather tries to give indications and reminders as to that mission. Pope Francis has said many interesting things directly to priests on their role as priest. He’s encouraging, while he’s also challenging. There’s relevant quotes from others, too, most notably Jesus. Let’s hope this page might some day help some priest — or someone who may have a calling to be a priest. When a priest is in love with Jesus, you can see it. Even if he’s tired as a mop. Before the Q&A session started, the pope told the priests and the bishops that conflict inside the Church is to be expected. According to Francis, a Church with no internal tensions is dead. “The only place where there are no arguments is the cemetery,” he joked. Francis told the priests to avoid being “puritans” and “hypocrites,” saying the Church should not be so attached to the law that it has no mercy or tenderness. He called on them not to condemn a newborn child for the sins of their parents, for instance by denying baptism to the child of a single mother or of a divorced and re-married person. The pontiff asked priests to respect laity by “leaving them in peace,” and to avoid the temptation of clericalism. 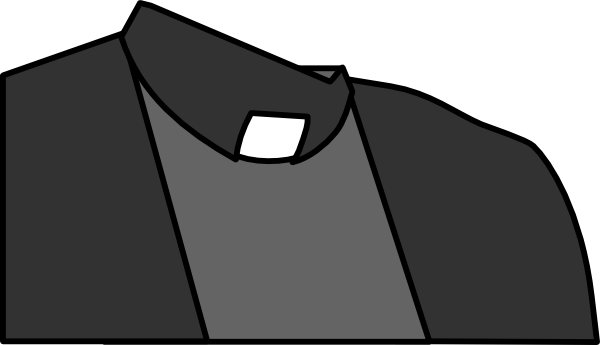 A parish priest, he said, shouldn’t turn every good layman into a deacon, nor should a layman try to be good by being ordained. An Australian priest asked the pontiff for his “secret” in reaching out successfully to the secular world. Francis said in those places where the Church seems irrelevant, reduced to a subculture, the important thing is not to proselytize. He said that proselytism is a “caricature” of spreading the Gospel, and quoted Benedict XVI to the effect that the Church can grow only by attracting others to it, by using a “language of gestures” and provoking curiosity. Francis added that it’s important not to condemn anyone, to repay an enemy with goodness, and to always put the focus on the Holy Spirit. The pope then called the poor the “wealth of the Church,” saying they’re the heart of the Latin American church and that they can’t be used as propaganda. The Argentine pontiff said the biggest temptation of Latin American clerics is to become attached to money and power, adding that although the laity can forgive a priest for emotional quirks or having an extra glass of wine, they won’t forgive a priest who cares too much about money or who mistreats his flock. When a priest from Holland asked the pontiff about the relationship between Eastern and Western Europe, Francis said that there’s always been a geopolitical tension between cultures, reminding his audience that Catholic forces sacked Constantinople (1204) and invaded Russia twice. “Dialogue is needed,” he said. “There’s hope, despite those who say there’s no hope between Moscow and Constantinople,” adding that the Vatican and the Patriarchate of Constantinople are on the same page when it comes to fundamental values. Francis called the division among Christian churches “shameful,” expressing hope to find a unified date for Easter week. “It’s a scandal that we have to ask each other, ‘When does your Christ rise from the dead?’” he said. “How often do I think that we are afraid of the tenderness of God and because we are afraid of God’s tenderness, we do not allow it to be felt within us. Because of this we are so often hard, serious, punishing…. We are pastors without compassion. What does Jesus say to us in Luke at Chapter 15? About that shepherd who noticed that he had 99 sheep for one was missing. He left them well safeguarded, locked away, and went to search for the other, who was ensnared in thorns…. And he didn’t beat it, didn’t scold it: he took it tightly in his arms and cared for it, for it was injured. Do you do the same with your faithful? When you realize that one of your flock is missing? Or are we accustomed to being a Church which has a single sheep in her flock and we let the other 99 get lost on the hill? Are you moved by all this compassion? Are you a shepherd of sheep or have you become one who is “grooming” the one remaining sheep? Because you seek only yourself and you have forgotten about the tenderness your Father gave you, and it is recounted to you here, in Chapter 11 of Hosea. And you have forgotten how to give that compassion. The Heart of Christ is the tenderness of God. “How could I fail you? How could I abandon you? When you are alone, disoriented, lost, come to me, and I will save you, I will comfort you”. “Like Jesus, the priest makes the message joyful with his entire person. When he preaches – briefly, if possible! –, he does so with the joy that touches people’s hearts with that same word with which the Lord has touched his own heart in prayer. Like every other missionary disciple, the priest makes the message joyful by his whole being. For as we all know, it is in the little things that joy is best seen and shared: when by taking one small step, we make God’s mercy overflow in situations of desolation; when we decide to pick up the phone and arrange to see someone; when we patiently allow others to take up our time. …. Mary is the new wineskin brimming with contagious joy. Without her, dear priests, we cannot move forward in our priesthood! She is “the handmaid of the Father who sings his praises” (Evangelii Gaudium, 286), Our Lady of Prompt Succour, who, after conceiving in her immaculate womb the Word of life, goes out to visit and assist her cousin Elizabeth. Her “contagious fullness” helps us overcome the temptation of fear, the temptation to keep ourselves from being filled to the brim and even overflowing, the temptation to a faint-heartedness that holds us back from going forth to fill others with joy. …. From Jesus we have to learn that announcing a great joy to the poor can only be done in a respectful, humble, and even humbling, way.